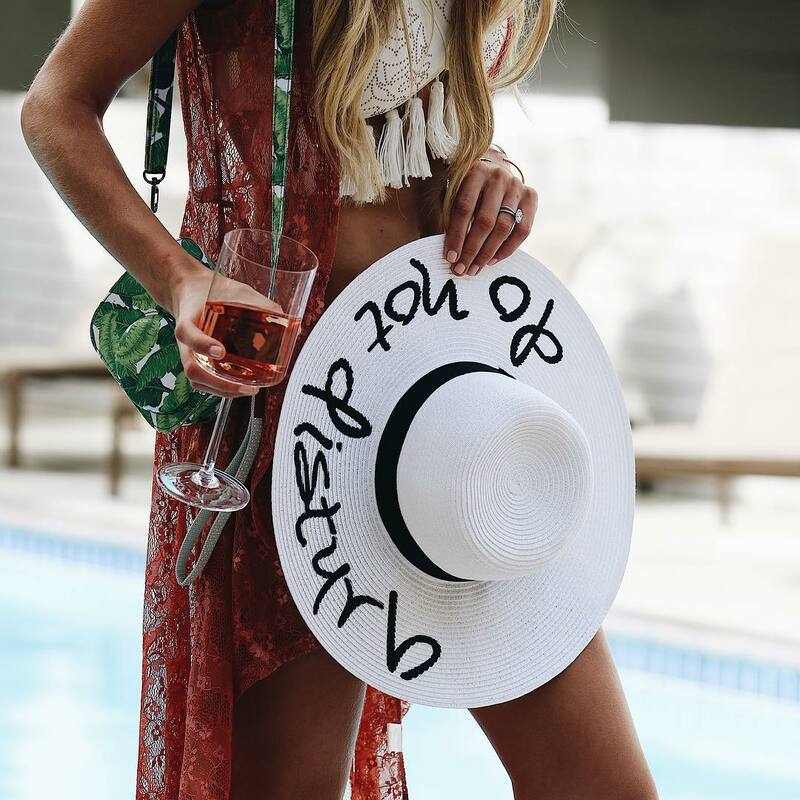 A blog and The Life In Between : It's always a Rosé hour. 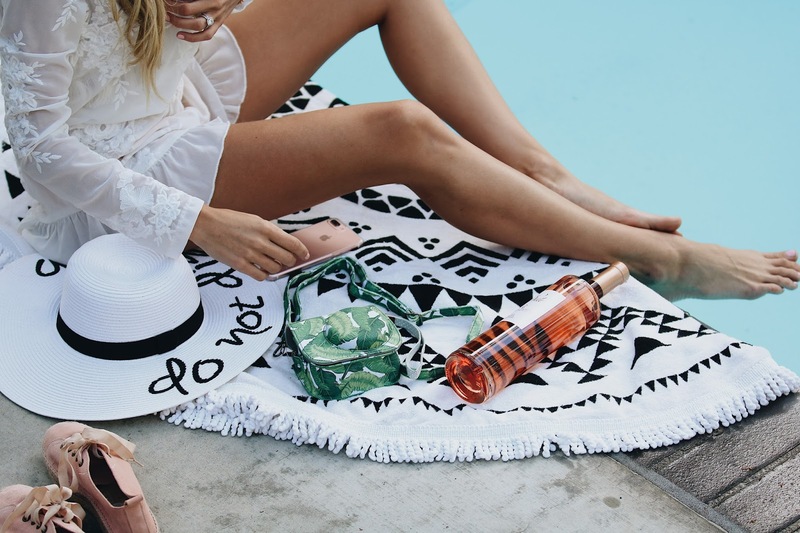 It's always a Rosé hour. I wanted to switch it up and share one of my summer faves for all your upcoming summer events. Whether it's a garden party, event or a poolside hangout you're invited to I've got some tips on what to bring and create to make at home to make it that much more fun and unique! Today, I am sharing my fave rosé VieVité that I discovered when I was in New York getting dinner with my girlfriends at Catch. 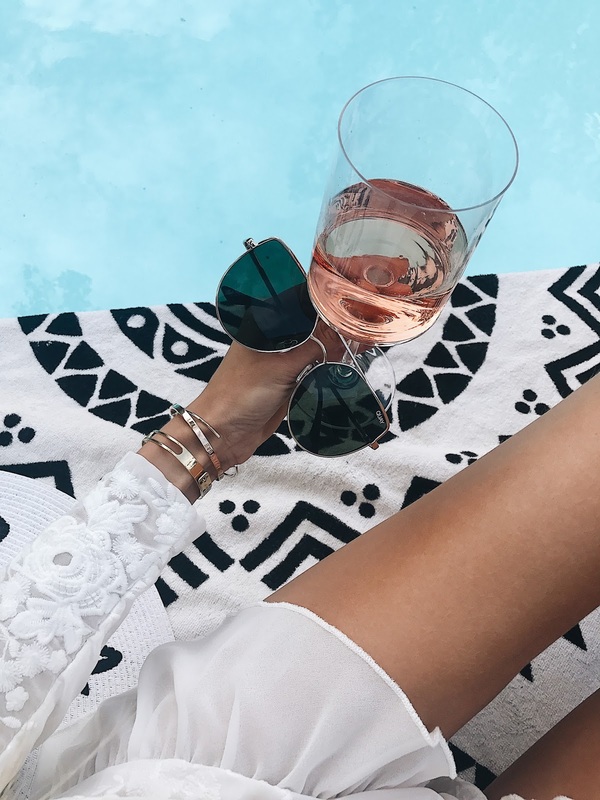 Yes, I am sure you've heard of this rosé Brand as they can be found at some of the best (& my favorite) spots all across the states. Many of the other restaurants you can find them at is Buddakan, Monarch, Morimoto in New York and Mondrian hotel by Sky Bar's poolside in Los Angeles. Every time we go to Sky Bar in LA I get myself a bottle as it makes a great gift when going to your friends. You're probably wondering how is this different from any other ones sold at a store? 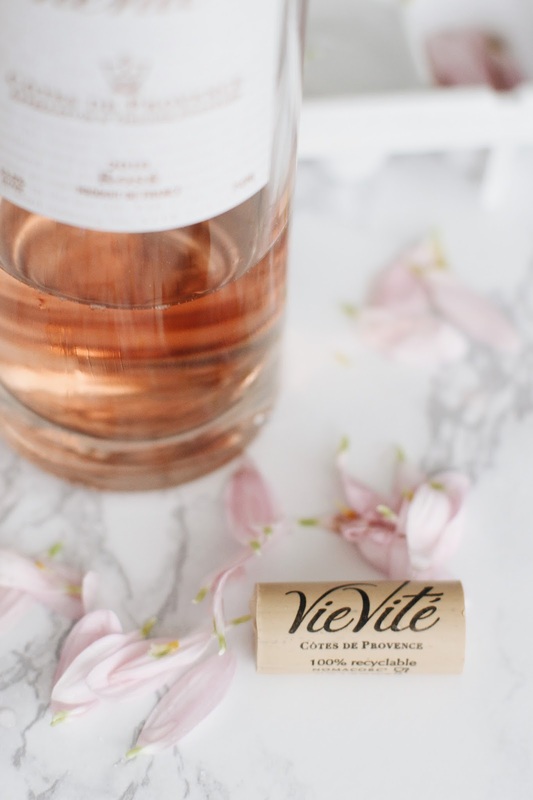 What makes it stand out from other is that Vievité is actually the purest bottled rosé with all estate-grown grapes which gives a very rich taste. Because fruit-forward expression of a dry rosé wine it makes it easy to pair up with almost anything you're eating it - so bringing it to somewhere you're going to is just that much easier as you can't go wrong with it! If you need some last minute ideas on entertaining your guests for an event at home, I am sharing my little creation that's quick to do and looks good (duh!). Take off flower leafs and sprinkle them in the ice cube tray , get creative! You can't go wrong with your ideas here. 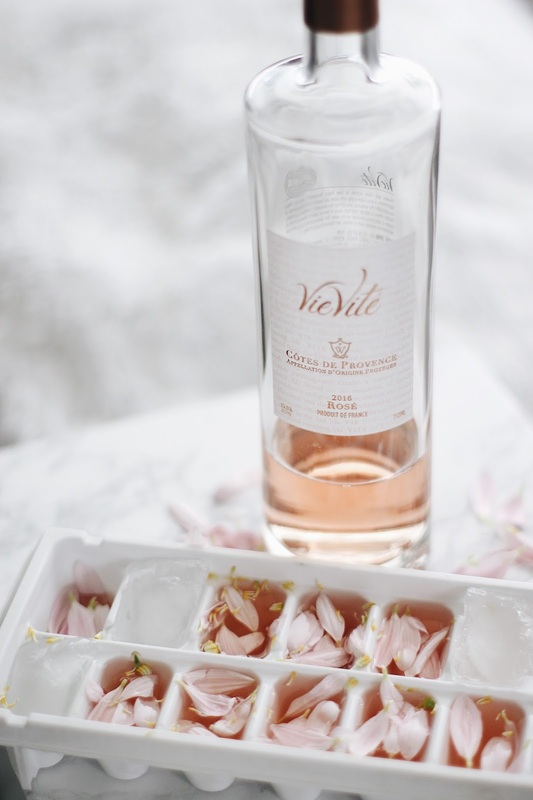 However, try to keep flowers minimal so that the ice cubes still have that see through/icy look. Voila! This is a perfect way to decorate drinks and ice bucket for any event you may have. Thank you ViVieté for partnering with me on this post.